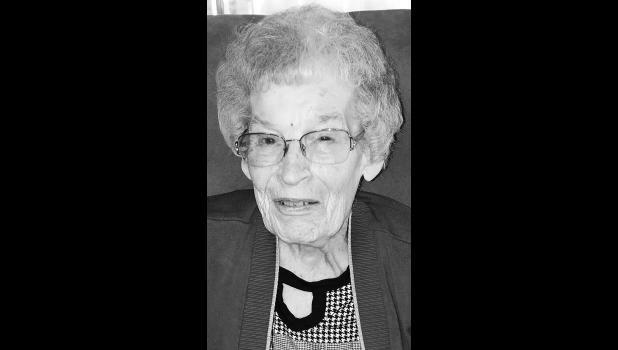 Jean “Chrisman” Rutz, 88, of Goff, passed away Wednesday, March 13, 2019, at Midland Hospice House. She was born Nov. 5, 1930, in rural Goff, the daughter of Vern and Pearl (Merritt) Monhollon. Jean attended Goff High School. She worked at Slimaker Dress Factory for 25 years. Jean worked at Sharps for 10 years and at the Coach House for eight years. Jean was a member of Women’s Auxiliary. She also played the piano for multiple churches and functions, including Circleville Christian Church, Soldier Christian Church, and Holton Christian Church. Jean married Clifford Chrisman on Dec. 31, 1947, in Goff. She was preceded in death by Clifford after celebrating 40 years of marriage. Jean then remarried Tom Rutz in January of 1989 on a farm in Soldier. She was preceded in death by Tom in 1999 after celebrating 10 years of marriage. Survivors include her children, Vickie McGee (Mike) of Hoyt, Marcella Ingels (Sally) of Cummings, Sharon Chrisman Bailey (Scott) of Goff, Gwen Mutschelknaus (Gary) of Tecumseh and Jim Ludlow (Penny) of Soldier; sisters, Pat Smith of Bloomfield, Ky., and JoAnn Hollis of Hiawatha; 11 grandchildren; 30 great-grandchildren; and 10 great-great-grandchildren. She was preceded in death by her parents; a sister, Teene Kerr, in Indiana; and sisters-in-law Mary Nott of Wetmore and Juanita Pierce of Topeka. Funeral services will be held at 11 a.m. Wednesday, March 20 at Mercer Funeral Home in Holton. Burial will be held at a later date in Holton Cemetery. Family will greet friends one hour prior to the service.